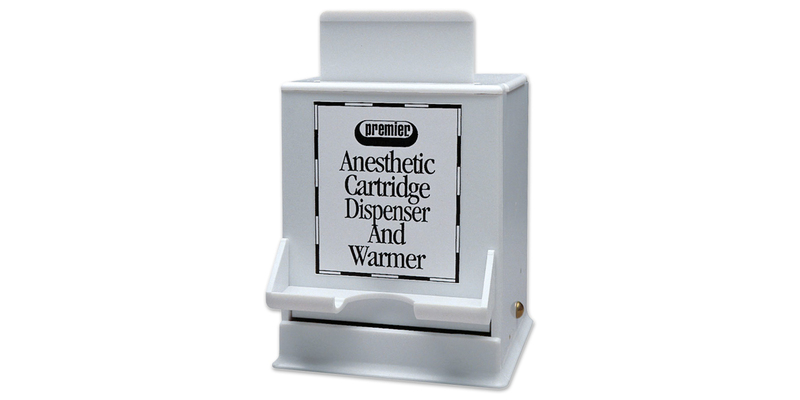 Heats up to 60 cartridges to approximate body temperature to avoid anesthetic trauma from thermal shock. Cartridge is dispensed by pressing top panel. May be mounted on wall or placed on cabinet.